Does your Northern Illinois business need repairs or reconstruction after a disaster? Call Skyline DKI today, and we’ll get to work creating a complete recovery plan for your business. 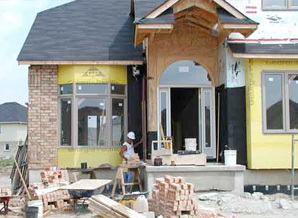 Our fully licensed construction crew can fulfill all your reconstruction needs. We’ll repair roofs and siding, and even reconstruct entire areas of your business. Whether only a small portion of your property or nearly the entire building was damaged, we’ll be able to take care of it. The Skyline DKI construction crew has extensive experience providing reconstruction services, and they have all the best equipment to get the job done right. Call us today!